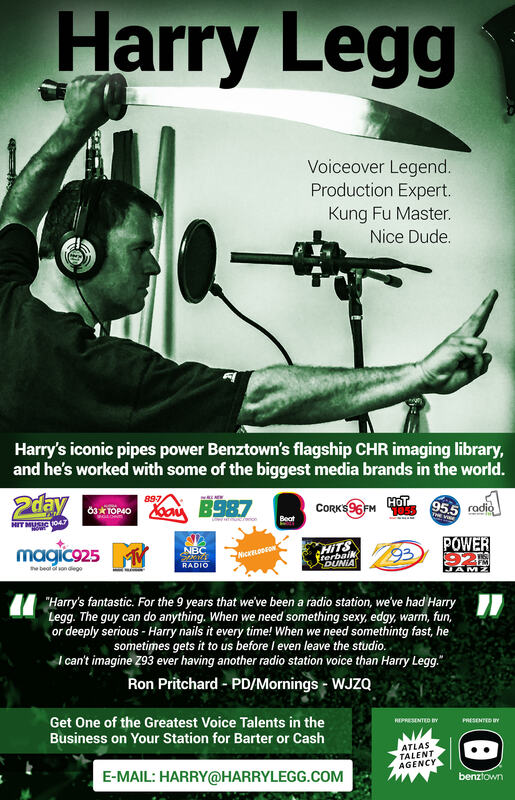 Benztown, an international radio imaging, production library, programming, and voice-over services company with over 1,500 affiliations on six different continents, announced today that it is sponsoring a contest for radio stations to enter for a chance to win the top shelf voiceover services of legendary voice-over artist, Joe Cipriano— free for a full year! In addition, the winner will receive a full year of free professional imaging services from the industry’s imaging leader, Benztown. The contest, “Love Your Station, Elevate Your Sound”, will run for six weeks, from February 19 through April 1, 2013. To register for a chance to elevate your station’s sound and for contest rules, visit this link. “We want every radio programming professional to experience the discernible difference that truly exceptional voice-over and imaging can make to their station brands. We are excited to make Joe Cipriano, a voice-over icon, available to one lucky winner of this contest—but offer this game-changing resource to all stations every day– regardless of market size or budget– through the industry’s highest quality professional voiceover talent for barter or cash. Truly, no one has the caliber, the quality, the experience, or the diversity of voiceover artists and imaging specialists that Benztown offers. “I’m ready to jump in and work with the station winner to turn up the volume on its branding and voice-over. It will have a huge impact for the winning station, and will be a thrill for me, personally and professionally. The really great thing is, I enjoy working with stations of all formats and market sizes through my affiliation with Benztown, so you don’t have to be the contest winner to work with me every day as a partner in building your station brand. To hear demos of the industry’s finest voiceover professionals and to enter for a chance to win Joe Cipriano’s voiceover and Benztown’s professional imaging services for one year, visit http://www.benztown.com/elevateyoursound.